With the start of training camp less than two weeks away (!!! ), the yearly preseason NBA player rankings are starting to make their way onto the web. First up, Ben Golliver and Rob Mahoney over at Sports Illustrated, who have put together their Top 100 players, an endeavor they describe as "an exhaustive exercise that seeks to define who will be the league's best players in the 2018-19 season." Of course, we're only interested in where members of the 2018-19 Trail Blazers show up on the list, so let's get down to it. One note: I'm not going to post the entire synopsis for each player in hopes that you'll at least click through once to Sports Illustrated's site. 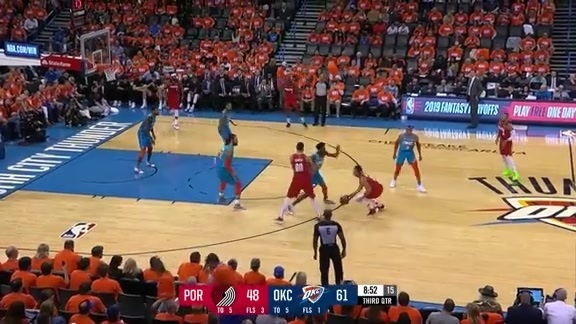 Aminu (9.3 PPG, 7.6 RPG) is the elastic band that holds a top-10 defense together. If you prefer a conservative defensive style—as the Blazers do—then Aminu can muck up passing lanes and slow down top-scoring forwards. If you’d rather rely on switching, he’ll float from opponent to opponent without missing a beat. 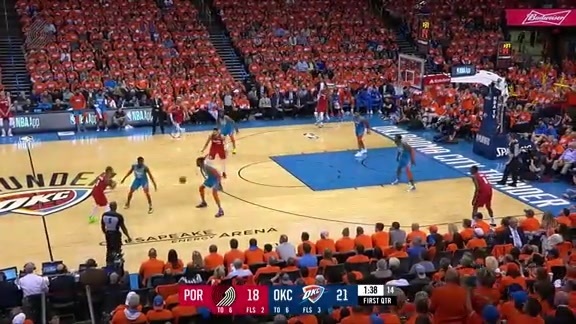 At the same time, Aminu would look right at home blitzing and recovering against the pick-and-roll, where his length makes a chore of even the most basic outlet pass. One can be a specialist and still have a highly transferable skill set. Aminu comes in ahead of Boston guard Terry Rozier at No. 82 and behind Oklahoma City guard Dennis Schröder at No. 80. Nurkic, 24, responded in a big way in 2017-18, playing in 79 games and logging more than 2,000 minutes, well above his previous career-highs. He wasn’t just eating up minutes: Nurkic helped Portland improve from No. 21 to No. 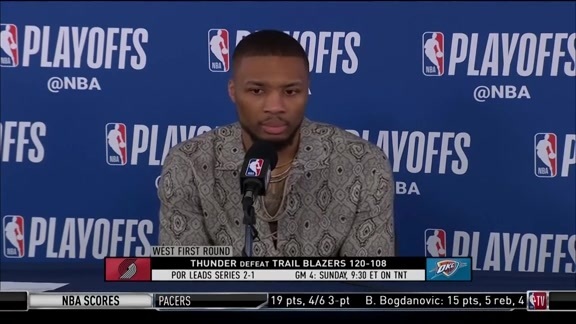 8 in defensive rating, he dramatically increased his FG% around the basket, he cut his turnover rate, and he learned to swallow his pride when pulled for match-up purposes in late-game situations. All that progress didn’t help him avoid being torched by Anthony Davis in the playoffs, but it did earn him a four-year, $48 million extension this summer. Next up on the to-do list: ease up on the low-percentage runners, floaters and flip shots that drive Blazermaniacs berserk. Nurkić is ranked directly ahead of Clippers forward Tobias Harris at No. 65 and right behind Toronto center Jonas Valanciunas at No. 63. When a Twitter heckler requested that he stay focused on advancing in the playoffs rather than talking trash about the Warriors, McCollum (21.4 PPG, 4 RPG, 3.4 APG) responded by unleashing a plaintive wail that inspired tribute t-shirts: “I’m trying Jennifer.” The viral comeback was doubly honest, as it reflected McCollum’s dedication to his craft and acknowledged Portland’s painful back-to-back first-round sweeps. Indeed, there can be no questioning the 2016 Most Improved Player’s commitment: McCollum has missed just five total games over the past three seasons, he’s forged a successful and non-combative star partnership with Damian Lillard, and he was a rare bright spot for the Blazers in the 2018 playoffs. McCollum is ahead of Utah guard and 2018 Rookie of the Year runner-up Donovan Mitchell at No. 34 and behind Charlotte guard Kemba Walker at No. 32. Kyrie Irving might be a better and more exciting ball-handler than Lillard, but he’s had consistent health problems and likely wouldn’t fare much better when surrounded by lineups with two or three holes. Kyle Lowry might be more imposing and experienced than Lillard, but he’s had his own postseason struggles despite much deeper rosters around him. John Wall might be faster and more explosive than Lillard, but his shot selection and questionable leadership are unavoidable concerns. In this tier of imperfect star point guards, Lillard seems to possess the most dependable strengths and the most manageable flaws. 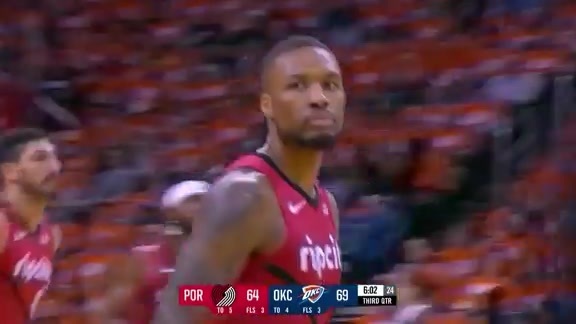 Lillard comes in directly ahead of Boston center Al Horford at No. 16 and directly behind Utah center Rudy Gobert at No. 14.